No need to worry about changing technologies. Our open architecture software platform allows for growth as new and exciting services become available. This makes our solution scalable for future technologies and transitions. Print from cell phones and tablets. Facebook Connectivity – Print directly from your Facebook account or from shared images from friends or family members. Choose from Glossy or Matte prints. Put text, borders or clip art on prints. 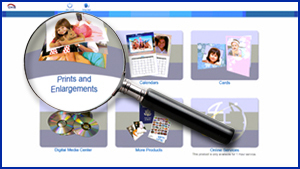 Print greeting cards, passport photos, calendars, index prints, collages, and photo packages. Burn to Cd’s or print from Cd’s.